The England Korfball Board are pleased to announce that following a structured process including an interview it has ratified the International Strategic Committee’s recommendation to appoint Rob Williams as England Head Coach. Williams has signed an initial 4 year contract to lead the senior squad. The first international tournament will be the 2018 IKF European Championship in October 2018. Williams’ senior international playing career spanned three decades, representing both Great Britain and England at 4 European Championships, 4 World Championships and 3 World Games. Williams retired from international duty in 2010. Williams will take up the position immediately and will select his first squad during the summer. Training for the European Championships will start after the end-of-season Grand Finals in May. “England has one of the strongest, most competitive Korfball leagues in the world. Together we can make it stronger. 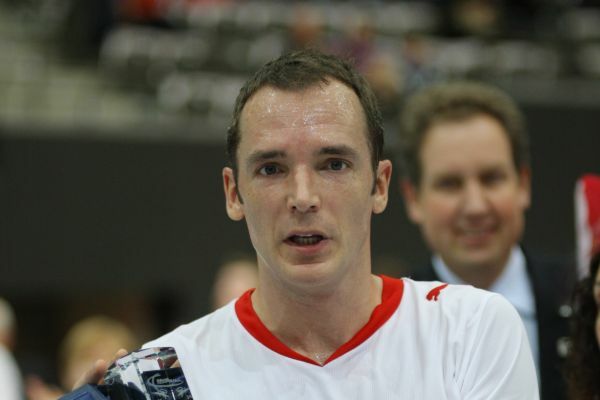 “I played 106 times for the senior National team between 1994 and 2010. As head coach, I will do exactly what I did as a player, be professional, work hard, be organised and have some fun along the way. “Looking ahead towards the preparation for IKF European Korfball Championships later this year. I want us to play more international friendlies; and I want us to foster new relationships with sports scientists to make our best Korfballers, better athletes.